In March, KQED proudly celebrates the diversity of our community with a special Women’s History Month programming lineup on KQED Public Television. Celebrate the life and legacy of the groundbreaking “Crazy” singer who defined modern country music. This documentary is a portrait of the creativity and choreographic process that gave rise to Thodos Dance Chicago’s story ballet A Light in the Dark: The Story of Helen Keller and Anne Sullivan. Observe Janis Joplin’s life through intimate letters and rare footage in the first in-depth celebration of the iconic rock singer. This new film journeys through the prolific life of the I Know Why the Caged Bird Sings author and activist, who inspired generations with lyrical modern African American thought. This documentary takes us into the lives of Laura Klock and her two daughters, Erika and Karlee Cobb, who have been named some of the most influential women in land speed racing. Examine the way the queen’s royal image and wardrobe have changed over the course of her life, and hear the story of the royal family — and Great Britain itself — in the modern era. Follow Queen Elizabeth II’s remarkable life, from her youth and her father’s coronation as King George VI to her sudden ascension to the throne and her eventful reign of more than 60 years. This episode features two shorts by women filmmakers. In Share, Taissa Farmiga stars as a 15-year-old girl facing her return to school after someone shared an explicit video of her online. Then, watch as racial tensions explode between young people waiting in line to buy the hottest new sneakers on the market in Hypebeasts. This program chronicles the Bronte sisters’ battle to overcome obstacles and publish their novels, which would become some of the greatest in the English language. Explore the rise of Misty Copeland, who made history as the first African American female principal dancer with the prestigious American Ballet Theater. Meet the Ovarian Psycos Cycle Brigade, group of young women of color who cycle through the boulevards of Los Angeles’s Eastside confronting racism and violence, and demanding and creating safe spaces for women. This documentary follows the female pilots of the 2014 Air Race Classic racers as they make their way across the country, while telling the story of the first women’s cross-country air race of 1929, also known as the Powder Puff Derby. Follow the story of Shirley MacLaine, whose success in Broadway led to stardom in Hollywood. From a young girl convincing her estranged father to attend her 18th birthday celebration to sentient fridge foods, this episode showcases two shorts by women filmmakers. Trace the history of women pioneers in the U.S. space program. View profiles of women in public office who were “firsts” in their fields and explore the challenges confronting American women in politics. This charming documentary recounts the life story of internationally beloved children’s author Beatrix Potter. In this music special, the legendary rockers Ann and Nancy Wilson perform at London’s famed Royal Albert Hall with the Royal Philharmonic Orchestra. Celebrate the woman who “turned the world on with her smile” and inspired millions as TV’s first independent career woman. 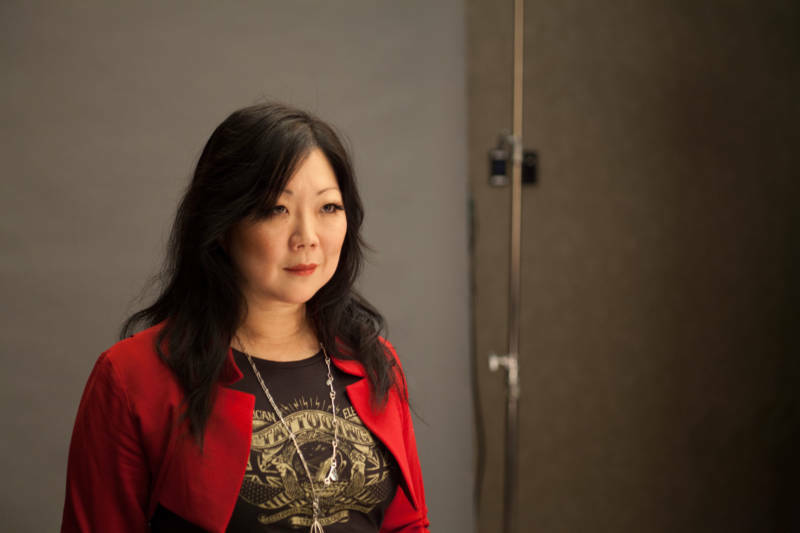 Meet 15 women who define contemporary American culture in Timothy Greenfield-Sanders’ new “List” film featuring Margaret Cho, Betsey Johnson, Alicia Keys, Nancy Pelosi and others. In this documentary, inspired by the 2013 book Selected Letters of Willa Cather, We hear a very different voice from that of polished and controlled Willa Cather the novelist. Instead, we meet a person who is vulnerable, funny and, at times, ruthless. Meet five Chilean women who gather monthly for a ritual that has sustained them through 60 years of personal and societal change. This documentary presents a multidimensional portrait of Penny Cooper, a celebrated criminal defense attorney, art collector, supporter of female artists and protector of the underdog. This compelling documentary explores Chapelle’s storytelling and her intriguing journey as a combat journalist, which paved the way for other female war correspondents. Three women — Natasha Young, Amanda Tejada and Lyndsey Lyons — confront the challenges of readjusting to civilian life after their post-9/11 military service. As they turn 65, a group of women, college classmates, who were both electrified and pummeled by the turbulent 1960s, look back, then ahead. The “Girls” have been friends — and morbidly obese — for years. But now, having weight-loss surgery is about to upset everything they thought they knew about health, happiness, friendship and love. Track the rise of women in the world of comedy, from the “dangerous” comedy of 1970s sitcoms such as Maude to the 1980s American comedy club boom to today’s multifaceted landscape. Carol Burnett is the guest of honor when the comedy world convenes in Washington, DC, to toast the 2013 recipient of the Kennedy Center’s Mark Twain Prize for American Humor. This program explores what it means to be a girl in America today. This film strips away the facade of the modeling industry by following two people whose lives intersect because of it. This episode includes a Dutch film about a busy mother who decides to seize the day. This program examines the extraordinary life and career of the beloved American humorist (1927–1996), whose honest tales of domestic life gave voice to millions of homemakers. Discover the story of Althea Gibson, who emerged as the unlikely queen of the segregated tennis world of the 1950s. 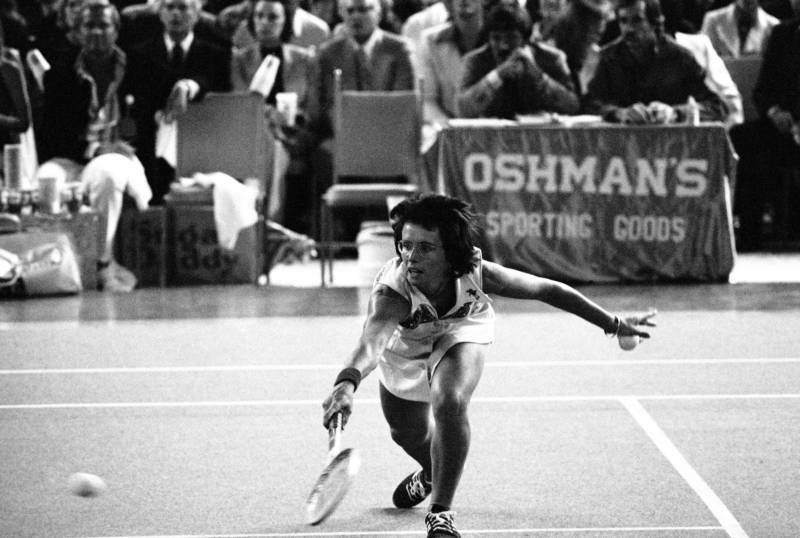 Billie Jean King was the first sports figure ever featured by American Masters: a very deliberate choice about a very deliberate woman who has, indeed, been a major force in changing and democratizing our cultural landscape. Discover the story of Mildred Wirt Benson, who began her career as a ghostwriter in the late 1920s, authoring 23 of the first 30 Nancy Drew novels, and was responsible for the development of the famous young character as an independent, bold, risk-taking female sleuth. This film tells a story of women’s entrepreneurship through the lens of the creation and development of the rival business empires of Elizabeth Arden and Helena Rubinstein. Grace Lee Boggs, 98, is a Chinese American philosopher, writer and activist in Detroit with a thick FBI file and a surprising vision of what an American revolution can be. Follow the women of showbiz, from the earliest pioneers to present-day power players, as they influence the creation of one of the country’s biggest commodities: entertainment. Delve into the hit singer-songwriter’s life and career from 1960s New York to the music mecca of ’70s Los Angeles to the present. In August 1929, 20 women pulled on britches, snapped on goggles and climbed into their cockpits to race across the country. After seeing a Super Bowl commercial about American farmers, and feeling like something was missing, Marji Gulyer-Alaniz devoted her life to photographing women farmers. This documentary tells the story of the women who stepped out of the kitchen and into the shipyard. This is a tale of two Indias. Moving between two divergent realities, the film creates a lively, provocative portrait of the world’s largest democracy at a critical transitional moment — and of two women who hope to shape its future. This program follows a unique rock band made up of six gynecologic oncology surgeons from across the country that are taking healing and the arts to a new level. 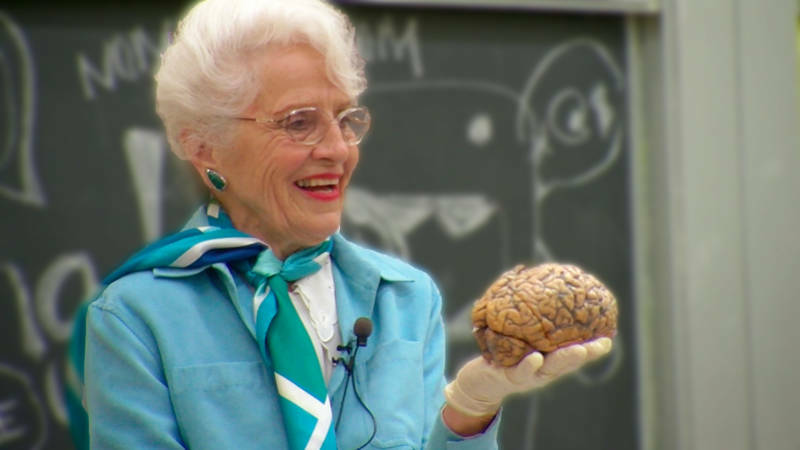 Narrated by actress Danica McKellar, this documentary presents the inspiring life story of the pioneering American mathematician Julia Robinson. This program explores the factors contributing to the wage gap and strategizes ways to attain equal pay for women. This documentary chronicles the dramatic vote to ratify the 19th Amendment, and the years of debate about women’s suffrage that preceded it. Filmmaker Kiley Lane explores why more women don’t run for office and investigates where political ambition begins, and why society should encourage more women to lead. This episode features the first stand-up comediennes to appear on television — legends such as Phyllis Diller and Joan Rivers. Discover how Vel Phillips, Milwaukee’s first African American and first female alderman, rose to prominence as one of Wisconsin’s great civil rights activists. Explore the case of Mexican American women who claim they were coercively sterilized at a Los Angeles hospital in the late 1960s and 1970s. Hear about the exceptional women — past and present —who have taken the world of business by storm. This episode looks at American women’s increasing participation in war — from Vietnam to the present — as nurses, soldiers, journalists, diplomats and spies. This documentary interweaves the lives of Native American women healers of today with the story of America’s first Native doctor, Susan La Flesche Picotte (1865–1915). Explore, through Lange’s granddaughter’s eyes, the life story of the influential “Migrant Mother” photographer. Fifty women from North Carolina with incurable breast cancer heroically endure an experimental medical protocol to prove that there is a better way of life — and death — for cancer patients and their families everywhere. Meet Claressa “T-Rex” Shields, who rose from the streets of Flint, Michigan, and at 17 won the first Olympic gold medal for women’s boxing in 2012. Elizabeth Black left a promising Pittsburgh art career to join American Red Cross efforts during World War II. She proposed a unique project to sketch hundreds of soldiers, sailors and airmen throughout Europe and send the treasured portraits to worried families back home — all across America.